"...[The term] refers to whether a private developer has obtained all necessary permits, including right-of-ways for all roads in a development, from the city government. A property owner may also be required to make improvements to a community, such as street widening and sidewalk, gutter and curb installation. 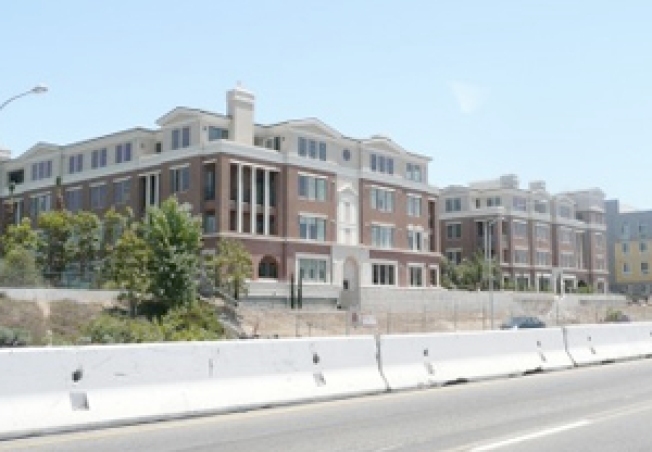 "The Playa Vista folks need to dedicate the streets to the city," [City Councilman Bill Rosendahl] stated. The councilman said that police and fire know where the streets are located and law enforcement does patrol the neighborhood. "But in the long run, the dedication of the streets will guarantee those protections," Rosendahl added. "We have been having this same problem since I moved here," one resident tells the paper, noting cars sit on the streets for days without being ticketed. "I believe that our streets will never get turned over to the city."